My background with martial arts includes that I have experience with the WingChun, the Arnis and Escrima and then in recent years have selected and revised American cane-fu ideas and Philippine stick fighting techniques so that even, and especially seniors, can practice the cane or umbrella self-defense without martial arts acrobatics. Throughout my decades of professionally dealing with senior citizens, I have seen and learned what they can do and what is just not possible. In our classes there is often lots of laughter and the training, even if it has a bitterly serious background, is a fun affair. It is always amazing, which energies and which forces the seniors can develop with the appropriate techniques, so that these normal "purses" and "drugstore umbrellas" do not last long and break regularly. Here's one important reason to use security umbrellas, as their proven extreme resilience finally overcomes this easily breakable phenomenon. Even with my own security umbrellas, despite strenuous efforts, I have not been able to ruin them. The second major reason for using Cane-Fu security umbrellas is the bad reputation that canes have with us nowadays. The most common argument that I hear from my classes is, "Oh, I'm not that old yet, that I need a stick". And so it is practiced with noticeable enthusiasm, but I know right away that in case of emergency no stick will be taken, because one is embarrassed to be seen with this and is considered to be frail. 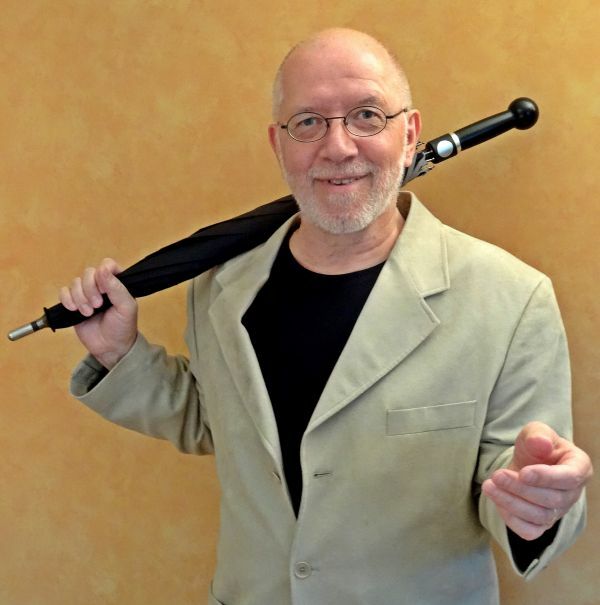 Again, I can say with satisfaction and gratitude that the security umbrella closes exactly this gap in the idea of ​​the Cane-Fu, because the stick techniques can be almost 1: 1 transmitted to the umbrella. Likewise, I've never had to determine a reserve against the umbrella, but with the stick it is often the opposite. Confident behavior, however, can save us all from taking over the role of victims in a conflict from the outset, and a building block of self-assurance can be the practiced, defensive handling of the security umbrella.